WASHINGTON (BP) — Evangelical Christians defend not only unborn children in the pro-life cause but all other human beings in need as well, speakers said on the second day of the Evangelicals for Life conference in the country’s capital. Christian advocacy for and ministry to refugees, orphans, immigrants and the poor gained attention Jan. 19 at the third annual event co-hosted by the Southern Baptist Ethics & Religious Liberty Commission (ERLC) and Focus on the Family. The three-day conference — which concluded Jan. 20 with breakout sessions — broke mid-day Jan. 19 for attendees to join tens of thousands of others for the annual March for Life from the National Mall to Capitol Hill. 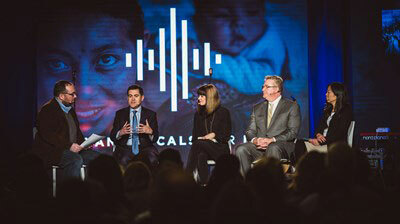 At the conclusion of the Jan. 19 sessions, ERLC President Russell Moore announced more than $336,000 had been raised at a leaders dinner the same evening to fund ultrasound machines for pregnancy resource centers across the country. “You see, a Christian faith that is consistently and passionately pro-life is almost universally admired and irresistibly attractive to outsiders, and that’s because it’s so unexpected,” he said in a keynote address. The Jan. 18-20 conference took place just prior to Sanctity of Human Life Sunday (Jan. 21), which the Southern Baptist Convention and many evangelical churches observed, and the 45th anniversary of the Supreme Court’s Roe v. Wade decision (Jan. 22), which legalized abortion nationwide. While Evangelicals for Life’s (EFL) yearly proximity to the Roe anniversary and the March for Life — as well as the topics and speakers — makes clear its commitment to protecting the unborn, the issues addressed Jan. 19 affirmed the evangelical pro-life cause is an expansive one. Speaking about care for refugees, Voskamp told the audience, “If you are passionate for Christ, then you are compassionate for those in crisis. “Now is the time for the church to be the church …,” Voskmap said of the current period marked by the massive uprooting of people from their homes and countries that has been described as the worst humanitarian crisis since World War II. The Bible “is a book from beginning to end about exiles and refugees,” she said. “We are not a people who believe in parts of the Holy Bible. We are a people who believe in the whole Bible. Stearns suggested American evangelicals should examine themselves about what the world sees when it looks at the church. “Do our actions speak to our identity? Are we consistently pro-life?,” he asked. Some of their historic positions and current opinions reflect poorly on American evangelicals, Stearns said. A recent Barna Group survey showed evangelicals were the least likely group to say they would welcome refugees, he said. Less than one-third of U.S. churches have taken steps to help refugees, he said. “Our history suggests that we need to be more self-critical and we need to demonstrate some humility and a spirit of repentance,” Stearns said. Jenny Yang — vice president of policy and advocacy at World Relief and the daughter of immigrants — said immigration is not just a political and economic issue. “I firmly believe the issue of migration is a spiritual issue,” she said in a panel discussion. 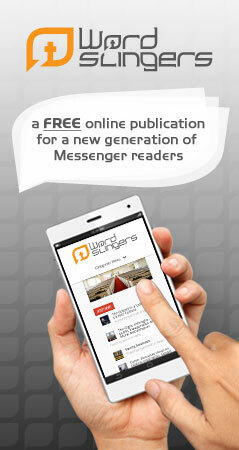 “It’s about whether or not Jesus wants to see people of all nations coming to know Himself. And lots of times when you’re in a place like the United States where there is freedom — religious freedom especially — they are able to choose” religious faith. She told about a Nashville, Tenn., church that welcomed Bhutanese refugees, showed them the “Jesus” film and saw many of them come to Christ for salvation. Those refugees welcomed others from their home country, showed them “Jesus” and saw others converted. There has been “a proliferation of people who are traditionally Buddhists becoming followers of Jesus,” Yang told attendees. Benjamin Watson, tight end for the Baltimore Ravens of the National Football League, said pro-lifers can also be pro-justice. Kelly Rosati, Focus on the Family’s vice president of advocacy for children, said about 100,000 children in foster care in the country are waiting for adoption. If only one family in every third church “would welcome home a waiting child, we would have no more waiting kids in the United States,” she said. Trillia Newbell, the ERLC’s director of community outreach, spoke about her conversion to Christ and the pro-life cause. A group of about 30 — primarily high school students — from a Southern Baptist church in Texas attended the conference and the march. Church at the Cross in Grapevine is active in the cause for the unborn, orphans, children in foster care, and Alzheimer’s and dementia patients, student pastor James Sercey told Baptist Press. The trip to D.C. for the conference and march is an effort to expose the church’s young people to and educate them about the pro-life argument, he said. The duo Shane and Shane led in worship during the conference. Tom Strode serves as Washington correspondent for Baptist Press. View more articles by Tom Strode.